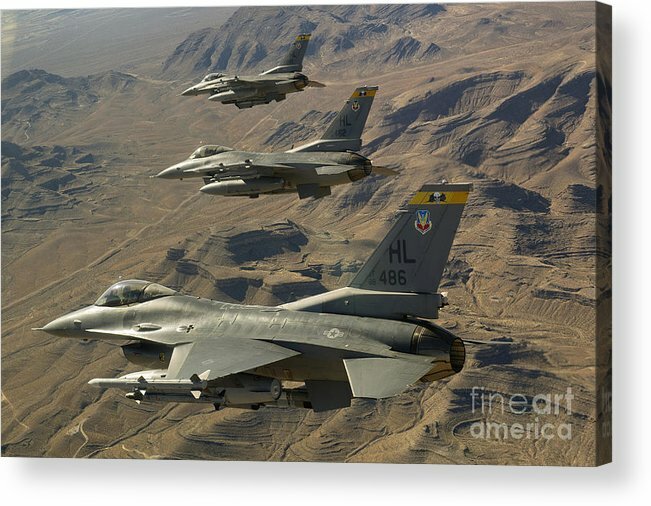 Ighter Jets Return From The Nevada Test by Stocktrek Images - 10.000" x 6.625"
Ighter Jets Return From The Nevada Test acrylic print by Stocktrek Images. Bring your artwork to life with the stylish lines and added depth of an acrylic print. Your image gets printed directly onto the back of a 1/4" thick sheet of clear acrylic. The high gloss of the acrylic sheet complements the rich colors of any image to produce stunning results. Two different mounting options are available, see below. 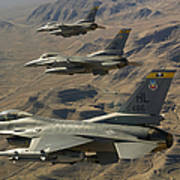 There are no comments for Ighter Jets Return From The Nevada Test. Click here to post the first comment. 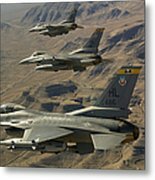 January 25, 2012 - Fighter jets return from the Nevada Test and Training Range on day three of Red Flag 12-2 at Nellis Air Force Base, Nevada. 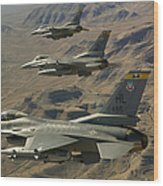 Coalition partners from South Korea and Saudi Arabia participated in the joint training exercise that's been around since 1975.